Louise Hickson is Professor of Audiology and Associate Dean External Engagement in the Faculty of Health and Behavioural Sciences at The University of Queensland. Professor Hickson has published 250 research articles, books and book chapters with her main focus on the effects of hearing impairment on people's everyday lives and the development of strategies and interventions that improve the uptake and outcomes of hearing rehabilitation. Her most recent book to be published in 2019 is "Patient and Family-Centered Speech-Language Pathology and Audiology: A Practical Guide for Students". 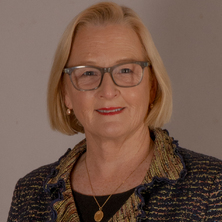 Professor Hickson is an elected Fellow and past President of the International Collegium of Rehabilitative Audiology and a Fellow and Past President of the Audiology Australia. In 2013 she received the International award from the American Academy of Audiology in recognition of her global contribution to hearing research. In 2014, she received the Chancellor’s University of Queensland Leadership Award for outstanding and exemplary leadership and broader contribution to the faculty, university and profession. Professor Hickson is a sought after speaker and regularly presents at conferences around the world. She also provides advice to hearing rehabilitation service providers both in Australia and overseas and is committed to improving services for people with hearing difficulties. Effects of hearing impairment on the lives of older adults and the rehabilitation of older people with hearing impairment. Professor Hickson is recognized internationally as a leader in audiology. Her major research themes are age-related hearing impairment, the associated effects of that impairment on the communication abilities and quality of life of older adults, and the efficacy of different forms of intervention (e.g., hearing aid fitting, communication education) with this population. To a lesser extent, evaluating the efficacy of audiological interventions for children. In collaboration with Dr Adrian Fuente, she has expanded her research work to include hearing impairment acquired by noise and solvent exposure. Examples of her profile and impact are invitations to speak at 3-4 national and international conferences each year, her editorship of the International Journal of Audiology, her roles as research representative on the Federal Minister for Health and Ageing’s Hearing Services Consultancy Committee, and Australasian representative on the WHO Steering Committee on Hearing. Prof Hickson is a world leader in hearing rehabilitation research and her work has changed practice in Australia and overseas. For example, the Active Communication Education (ACE) program that she developed and evaluated has been used in Australia, the UK, the USA, Canada, Korea, Iran,Germany and Sweden. She is committed to the transfer of knowledge into practice and has extensive professional links that facilitate this transfer. For example, she is the Chair of the Advisory Board of the Ida Institute in Denmark, the Leader of Phonak's international Family-Centred Care Expert Panel, an Editor of the International Journal of Audiology and past President of Audiology Australia. She is regularly invited to give keynote addresses to clinical and research conferences around the world. Evidence-based practice in rehabilitative audiology evaluating: interventions for children and adults with hearing impairment. Edited by Lena Wong and Louise Hickson San Diego, CA, United States: Plural Publishing, 2012. Do Children with Literacy Difficulties have non-native-like CVC Perception? Patient-centred hearing care in Malaysia: what do audiologists prefer and to what extent is it implemented in practice? What factors are associated with autonomous and controlled motivation for hearing help-seekers? What is the international classification of functioning, disability and health and why is it relevant to audiology? Addressing patients’ psychosocial concerns regarding hearing aids within audiology appointments for older adults. What is important for hearing aid satisfaction? Application of the expectancy-disconfirmation model. Improving uptake and outcomes of hearing aid fitting for older adults: What are the barriers and facilitators? What factors influence help-seeking for hearing impairment and hearing aid adoption in older adults? Management of hearing aid assembly by urban-dwelling hearing-impaired adults in a developed country: Implications for a self-fitting hearing aid. Development of a measure of communication activity for the acute hospital setting: Part 11 Item analysis, selection and reliability. Development of a measure of communication activity for the acute hospital setting: Part 1 Rationale and preliminary findings. What is an aphasia-friendly environment? Consonant perception in quiet: effect of increasing the consonant-vowel ratio with compression amplification. Communication difficulties of nursing home residents. How can staff help? Use of hearing protection by factory workers: If not, why not? Does patient-clinician communication influence patients' decisions to obtain hearing aids? Does Audiologists’ Language Influence the Decision to Obtain Hearing Aids? Hearing Care for Adults 2009 - The Challenge of Aging. Proceedings of the Second International Adult Conference (2009) . Edited by Louise Hickson. Second International Adult Conference, 16-18 November 2009, Chicago, United States. Family-centred care in paediatric hearing rehabilitation programs: How is it being implemented in day to day practice? Health literacy, instruction materials, and hearing aid management in older adults. Psychometric investigation of the inpatient functional communication assessment.